Dr. Eva Ross has been combining the best of both Eastern and Western medicine since 2005 to provide the most advanced integrative care within a family practice setting. Her clinical strengths include state-of-the-art metabolic testing and nutritional testing to reveal vitamin, mineral, amino acid, essential fatty acid, and antioxidant status. She also has a passion for treating orthopedic issues and helping patients to not only manage acute or chronic pain but to cure it through the use of acupuncture and herbs. Dr. Ross is a graduate of the Sports Medicine Acupuncture Apprenticeship program. She is a strong advocate of patient education in order to cultivate excellent and sustainable health. Dr. Ross received her Bachelor of Science degree in Botany from Humboldt State University and graduated with highest honors from Emperors College of Traditional Chinese Medicine in Santa Monica, California with a Masters degree in Traditional Chinese Medicine. She completed her doctorate degree in Traditional Chinese Medicine at her alma mater in 2015. 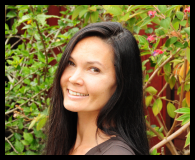 Dr. Ross is the founder of Malibu Healing Center and now, Maui Healing Center where she proudly serves the beautiful community of Kula and island of Maui.